On Saturday, August 13, 2011, The 44th Gospel Music Workshop of America kicks off in sunny Tampa, Florida. This year’s theme: “Remembering The Visionary and Embracing The Vision“, “Is a homage to GMWA founder, Rev. James Cleveland and is sure to be one of the best conferences to date”, said Bishop Albert Jamison, current Chairman of the GMWA. There will be a week full of workshops, classes, workshop rehearsals, nightly musicals and most of all, the word of God via the Daily Bread services with dynamic speakers like Dr. James Forbes, Bishop Brian Moore, Prophet Brian Mosley, Bishop Paul S. Morton, Rev. Jasper Williams, Bishop Kenneth Robinson and Dr. David Kelly. In addition, the most anticipated concert of the year will take place on Tuesday, August 16, 2011 as Verizon’s How Sweet The Sound present Jessica Reedy, J.J. Hairston and YP, James Fortune & FIYA and Kirk Franklin Live in Concert. On Thursday, August 18, 2011, the 2nd Annual Crystal Mic Awards will be taking place as the Gospel Announcer’s Guild recognizes media personalities in radio, internet and print. 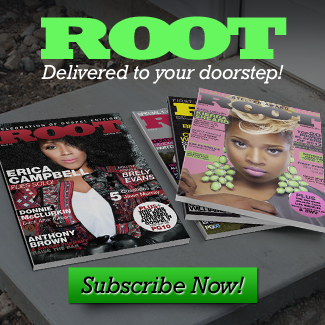 Root Magazine is the official journal for the conference and premiered a double cover flip edition featuring Reverend James Cleveland on one side and Dawkins & Dawkins, Jessica Reedy, Ricky Dillard, Dorinda Clark- Cole, J.J. Hairston & James Fortune on the other side. Root is also honored to be nominated for the Crystal Mic Award for Print/Internet Media of the Year.